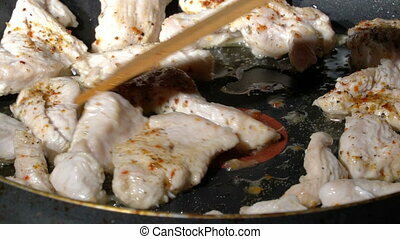 Frying meat on hot pan. 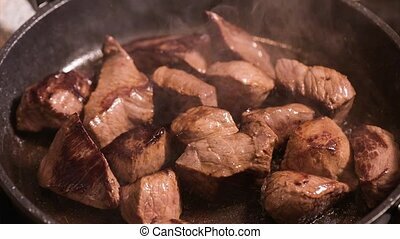 Frying beef sirloin in a hot pan. 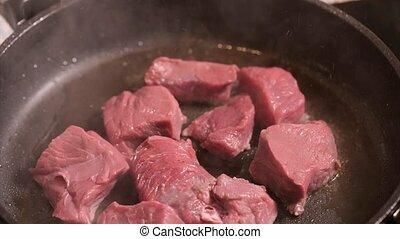 turning pieces of beef meat - close-up on top of a kitchen tile. 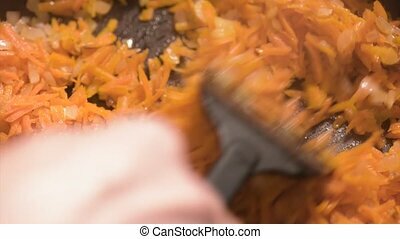 cook with fork preparing meat. 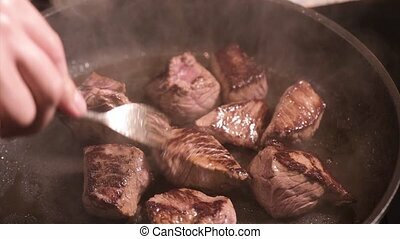 Frying beef sirloin in a hot pan. 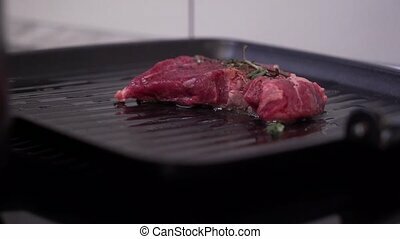 Turning pieces of beef meat - close-up on top of a kitchen tile. 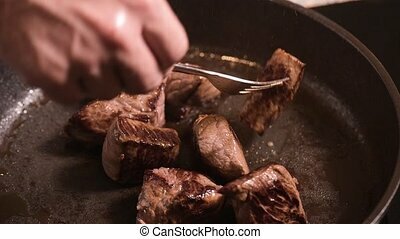 Cook with fork preparing meat. 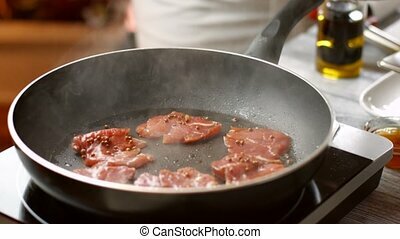 Meat on frying pan. 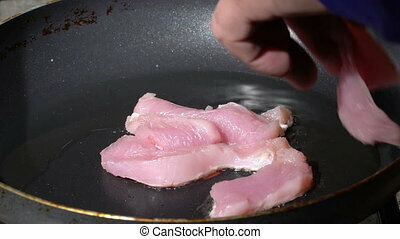 Hand puts meat on pan. 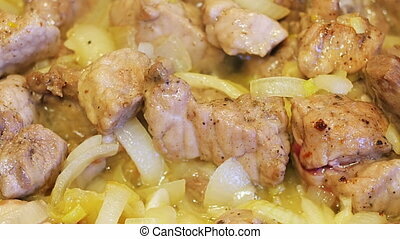 Veal medallions with whole pepper. 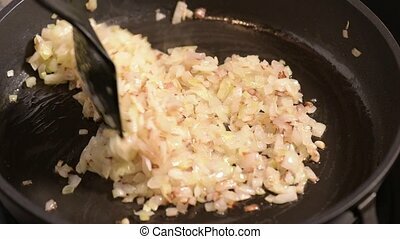 Preparation of high-calorie dish. 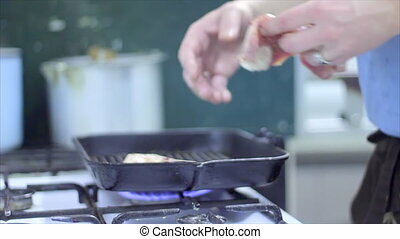 meat is grilled on frying pan. 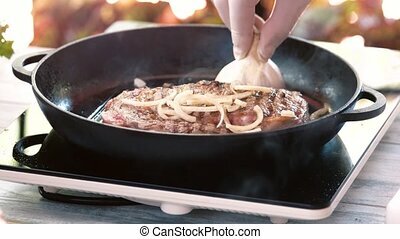 Steak on frying pan. 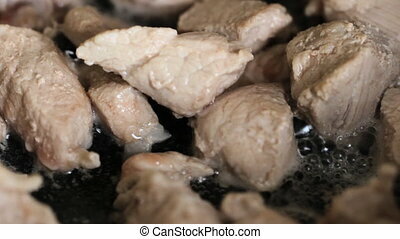 Grilled meat close-up. 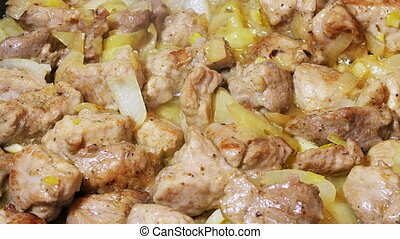 Juicy veal with spices. 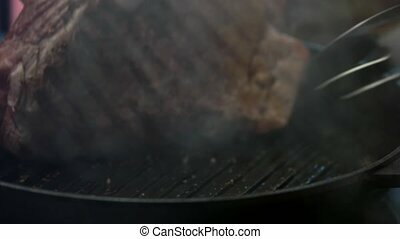 Meat on grill pan. 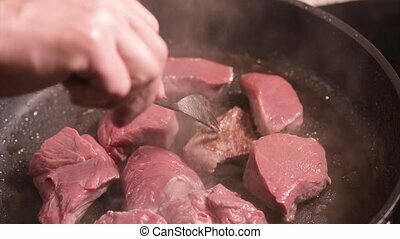 Cooking beef steak. 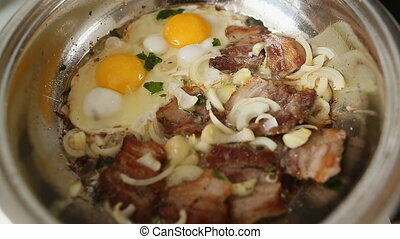 Fried meat on a frying pan and add eggs. 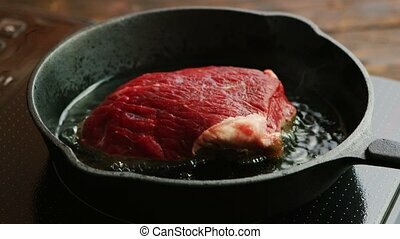 Steak on a frying pan. 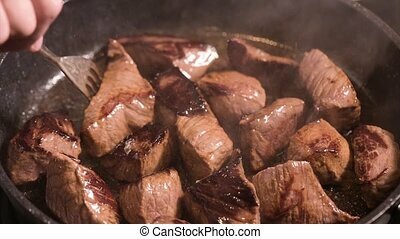 Oil pouring on meat. 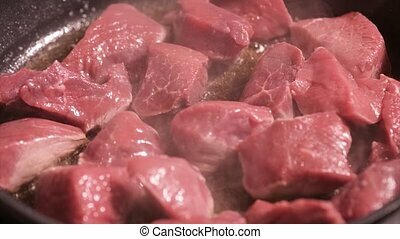 Frying beef sirloin in a hot pan. 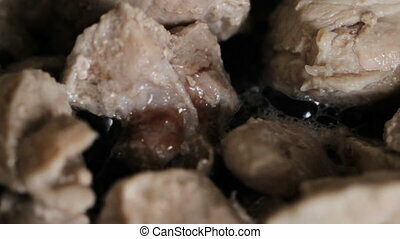 Pieces of beef meat - close-up on top of a kitchen tile. 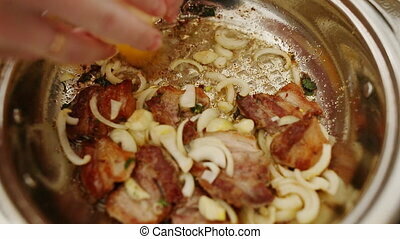 Cook cooking - working and preparing meat. 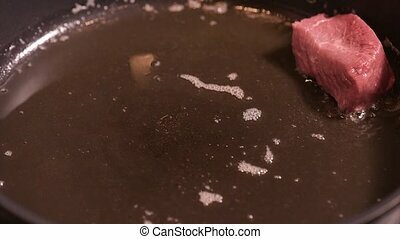 Oiling hot pan with pieces of beef meat - close-up on top of a kitchen tile. 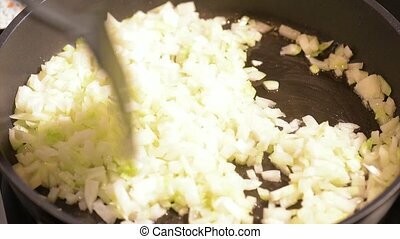 Chopped onions fried in vegetable oil in the pan. 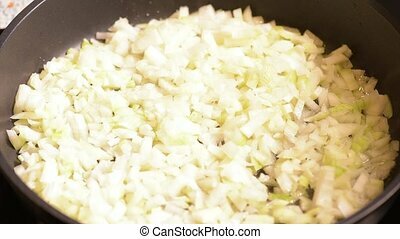 Close-up on top of a kitchen tile. 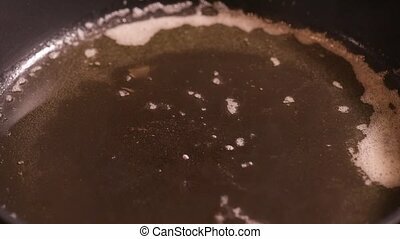 Pouring oil into frying pan - ready for frying. 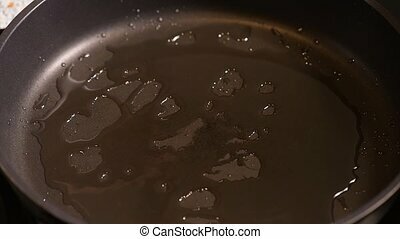 Oiling hot pan - close-up on top of a kitchen tile hot. 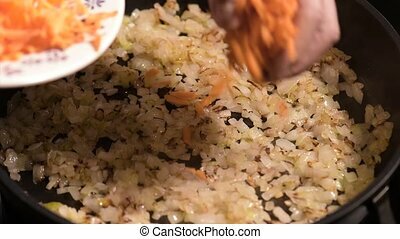 Chopped onions and carrots fried in vegetable oil in the pan. Close-up on top of a kitchen tile.